After the loss of the duckling and a busy weekend coming up, all I can muster is a random collection today. 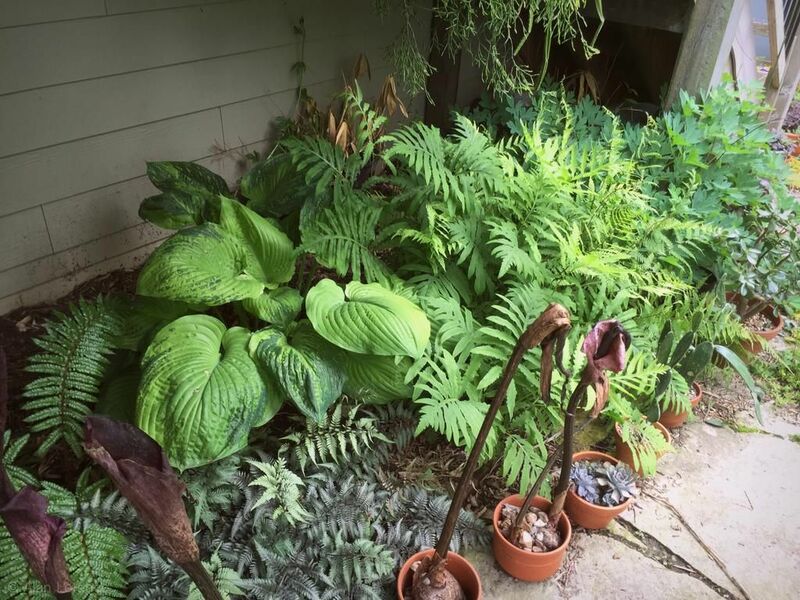 Starting with these hosta. Some of my first planted I often wondered if they were too close together. Now that I see how they combine, I'm glad I didn't give them more space! The photo doesn't do it justice, especially when the sunlight is coming through the deck skylights. So great! You know what else is doing really great? 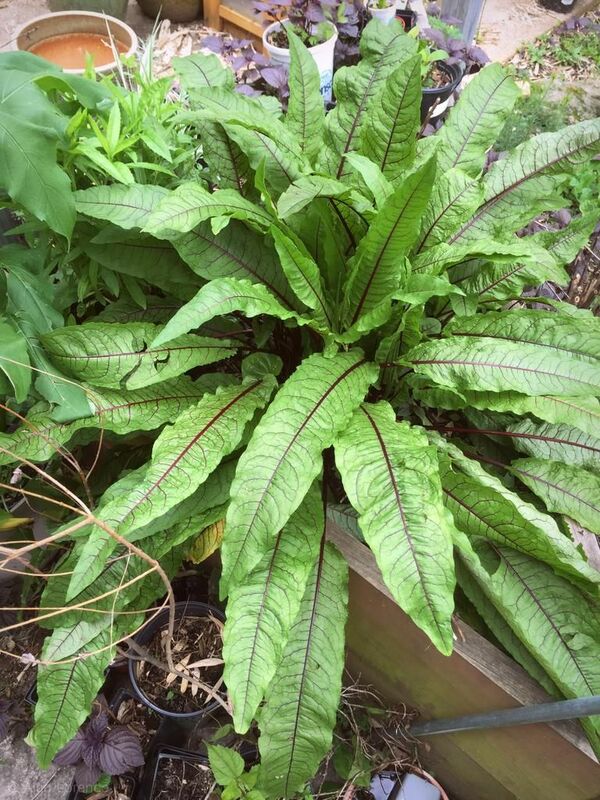 The red-veined sorrel in its "temporary" bed. I have to keep it here now since it's thriving. So huge! 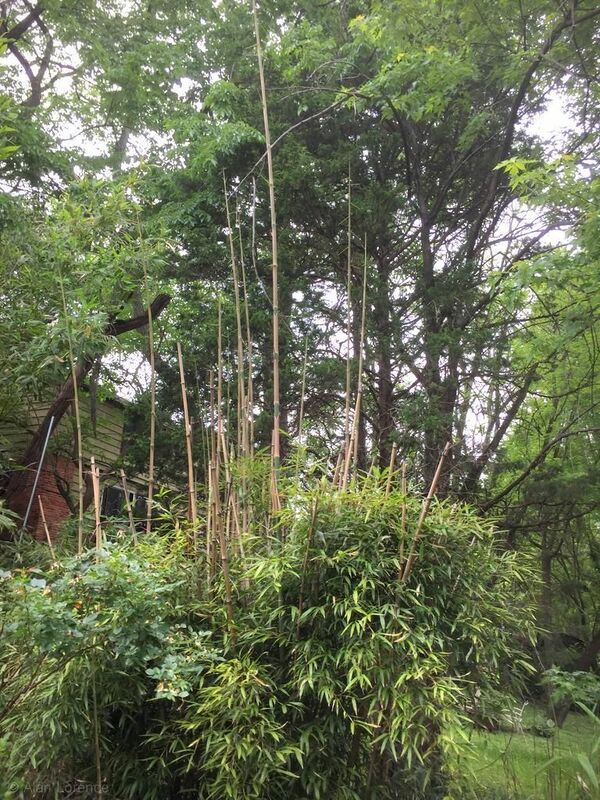 The black bamboo (Phyllostachys nigra) has regained the size it lost two winters ago. It will be nice to have all of those cut culms covered up by foliage again! 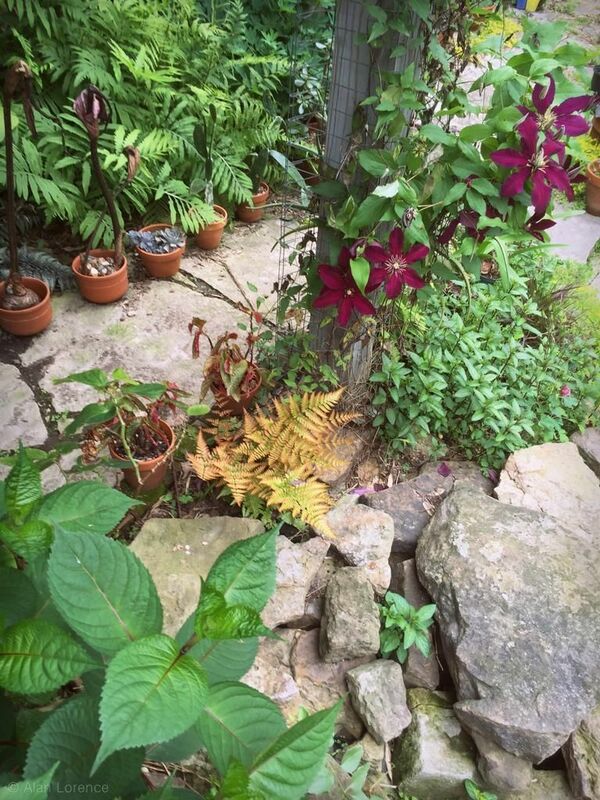 I haven't even planted the Colocasia yet (at the back right edge in this photo)! Brunnera 'Jack Frost' is thriving here, as is the wild ginger (Asarum canadense) which seems to have escaped a nibbling this year somehow. 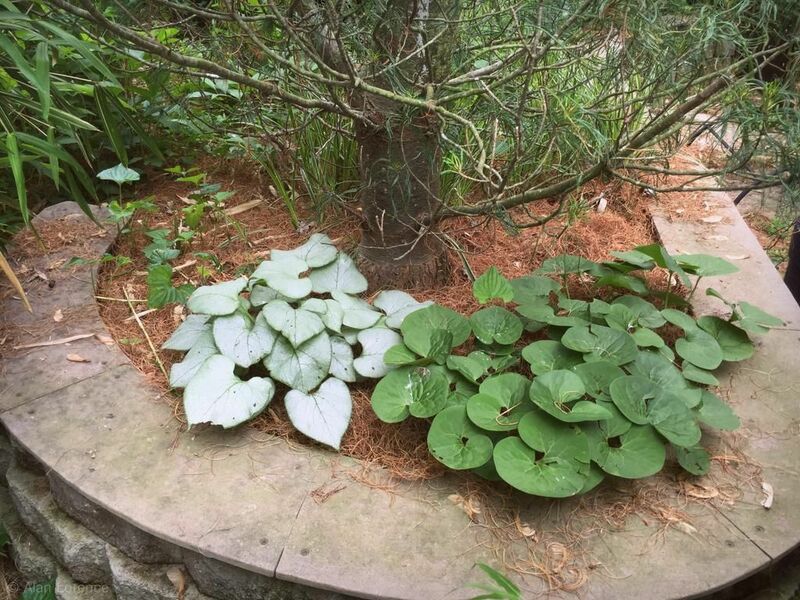 I don't know why I didn't plant shade lovers like these under the pine years ago. I hope you saw something here that you liked. Have a great weekend! 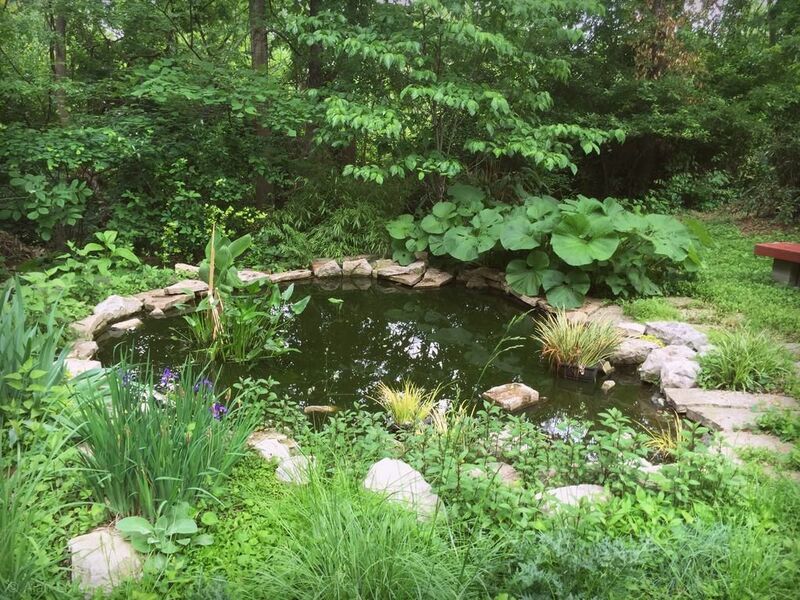 Those hostas are great, what a wonderful combo of colors. 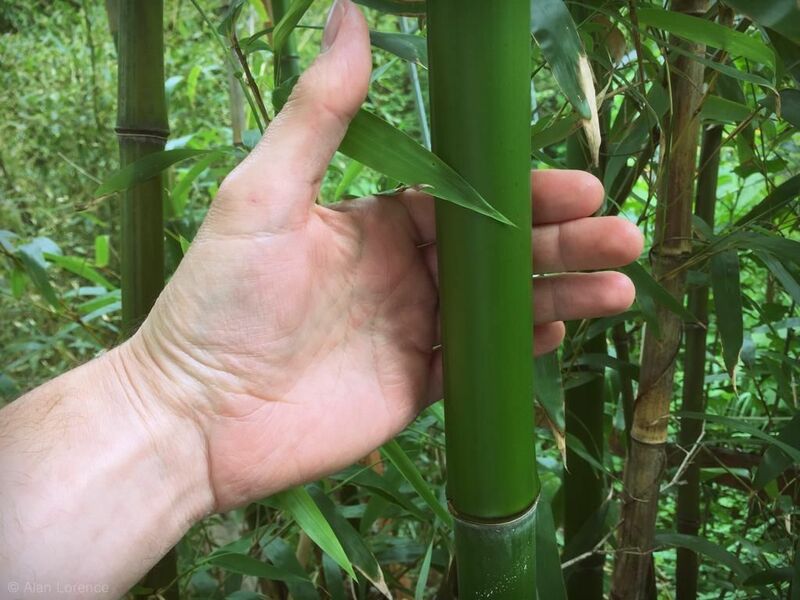 And yay for the bamboo growing back. Have a great weekend! Those first two images are especially gorgeous! But damn, really? The cute little guy is gone? 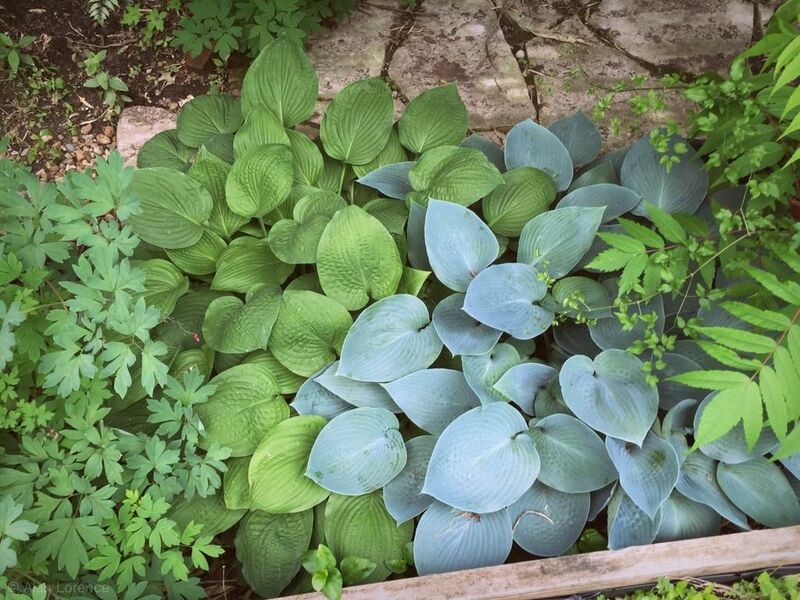 Great hosta combos! And that dulcis, wow!! 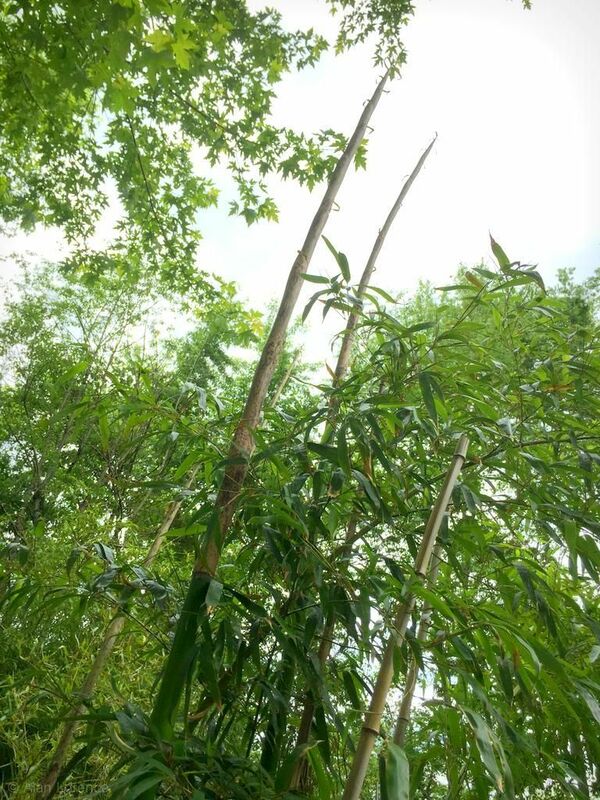 Great foliage and cool news about your bamboo! So sorry about the duck. It's very sad. Loree: yep, killed that first night. Cat? Male duck? Don't know.